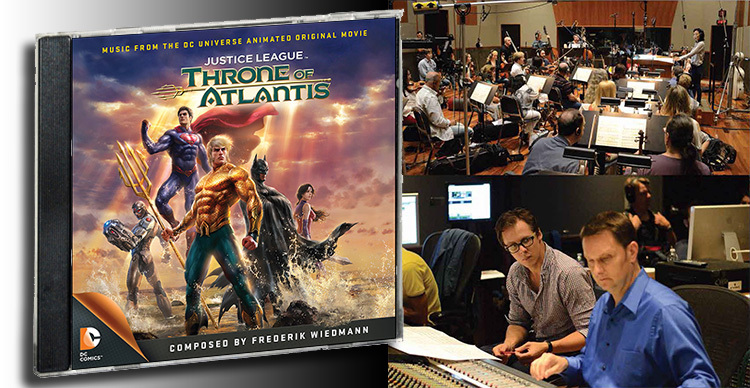 Composer Frederik Wiedmann is proud to announce the release of two soundtrack albums on La-La Land Records: Justice League: Throne Of Atlantis (released January 27th) and Dying Of The Light (will be released February 24). Wiedmann is also composing the music for the new Netflix animated kids series, All Hail King Julien. 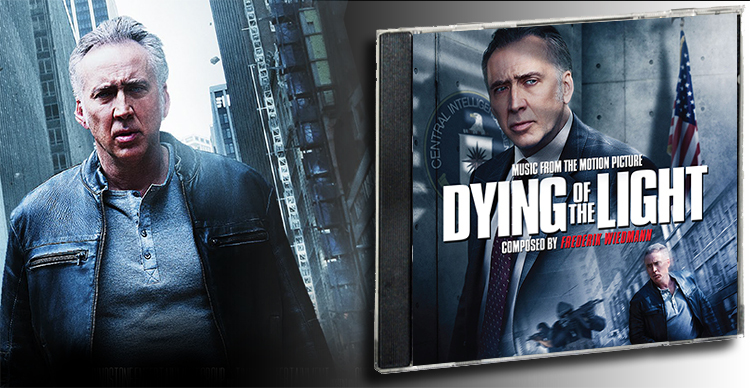 Dying Of The Light stars Nicolas Cage as Evan Lake, a veteran CIA agent, who has been ordered to retire. But when his protégé (Anton Yelchin) uncovers evidence that Lake's nemesis, the terrorist Banir (Alexander Karim), has resurfaced, Lake goes rogue, embarking on a perilous, intercontinental mission to eliminate his sworn enemy. The film will be available on Blu-ray™, DVD, and Digital HD on February 17, 2015. In Justice League: Throne Of Atlantis, Aquaman is forced to choose sides between the Justice League and Atlantis, when Atlantean warriors begin a war to conquer the surface world, starting with the coastal cities of Gotham and Metropolis. Born in Stuttgart, Germany, Frederik Wiedmann came to Los Angeles in 2004 to pursue his childhood dream of becoming a film composer. After a couple of assistant positions, Wiedmann scored his first feature RETURN TO HOUSE ON HAUNTED HILL for Dark Castle Entertainment, Warner Premier in 2007. Since then, he has written music for a wide variety of feature films such as COMPANY OF HEROS, HOSTEL PART III, THE DAMNED, THE HILLS RUN RED, JARHEAD II, FIELD OF LOST SHOES and many others. After adding 2 Annie Award Music nominations to his resume for the critically acclaimed TV series GREEN LANTERN: THE ANIMATED SERIES (Created by Bruce Timm and Giancarlo Volpe at Warner Bros. Animation), he moved onto scoring the brand new Warner Bros. Animation show BEWARE THE BATMAN, for the Cartoon Network, as well as numerous animated feature films based on DC Comics, such as SON OF BATMAN, JUSTICE LEAGUE: FLASHPOINT PARADOX, and the successful Disney Junior feature LUCKY DUCK. Wiedmann’s upcoming work includes the film OPIUS, the documentary THE THREE HIKERS and BATMAN VS. ROBIN.